Planning a family holiday in Lanzarote and you're wondering if it's the right destination? Lanzarote is a great destination for people of all ages, because you have the beautiful beaches, the spectacular views, good food, cultural activities and the island is small enough that it's easy to drive around and explore. If you're planning your family holiday this year and you're looking for things to do in Lanzarote with a baby or a toddler, and even a teenager, you won't be disappointed, just because the island has so much to offer in terms of activities. Depending on where you are staying and how old your baby is, the beach might be your go to place every day. The beaches in Puerto del Carmen and Playa Blanca are suitable even for small kids. The beach in Costa Teguise is windier, but it's great for watersports, so older kids might love it. 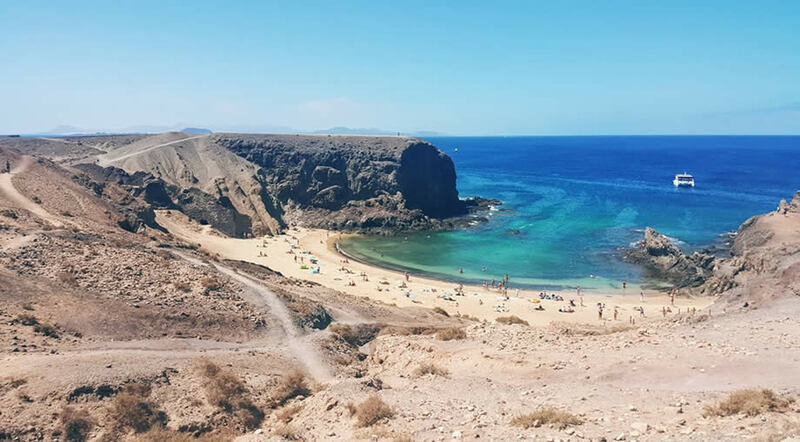 You can read our list of the best beaches in Lanzarote and if you feel adventurous enough, you can explore a different one each day, so your kids won't have time to get bored. The largest and now the only animal park in Lanzarote (after Guinate Park closed down), Rancho Texas is situated close to the resort of Puerto del Carmen - so close that you can even walk there, depending on where you are staying. There's lots of animal to see in Rancho Texas and they have several shows during the day, so it can prove a great day out. 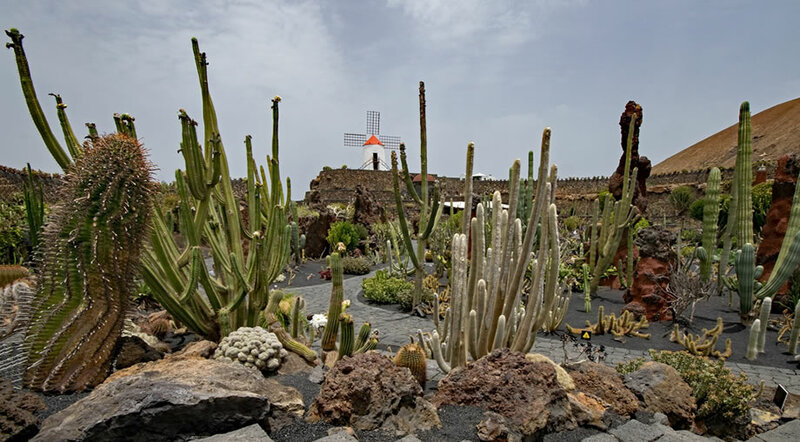 This is a lovely place to visit with kids in Lanzarote, weather they are babies or older, since the park is so interesting that even adults love it. The museum is located inside Castillo Santa Barbara, so even the location will be appealing to the little ones. The view from the museum is lovely also and it's very close to Costa Teguise, in case you are staying in that part of the island. We recommended the submarine ride as a great thing to do when it's raining in Lanzarote, but it can be an entertaining activity no matter the weather outside, and it's especially attractive for kids who love sea animals and want to learn more about them. If you book online on their website you will also get a 15% discount and you won't have to pay online for the tickets, you can pay when you arrive for your excursion. 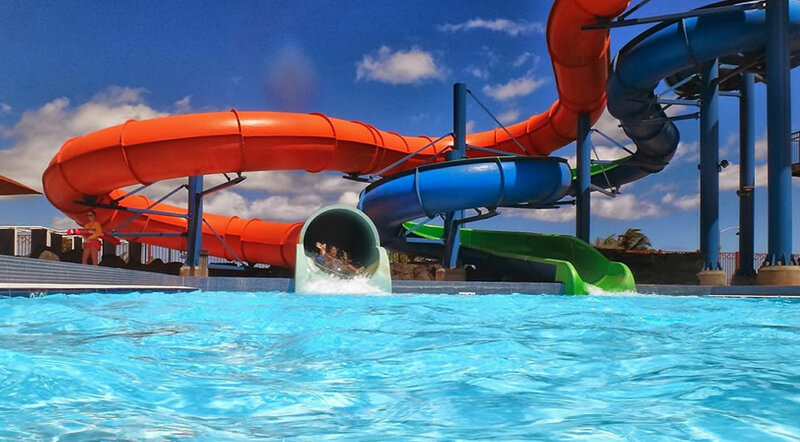 Aquapark Costa Teguise is the main waterpark in Costa Teguise and the one most people recommend. It has lots of rides and it provides a pleasant day out for kids and adults as well. Small kids can also enjoy the park and there's even a restaurant on site, with good food at reasonable prices if you want to spend the entire day at the aquapark. This park is smaller than the one in Costa Teguise, but is suitable even for small children, so if you don't want to travel for a day out, you can simply enjoy this local park that can still provide a day of fun for the entire family. Playa Blanca waterpark is probably best suited if you're looking for things to do in Lanzarote with a baby or a toddler, as opposed to the park in Costa Teguise, which may seem more interesting for older kids. Aqualava park has a nice wave pool with salt water, ideal for adults and kids as well. This is the only indoor paintball track in Lanzarote and it's part of the same group as the waterpark. You get a good price if you are also a client of the waterpark: 12€, which includes also 100 balls. If you come only for the paintball the price is 15€. Remember that in order to be allowed to enter the paintball court you have to be at least 16 years old and minors need the consent of one of their parents. If paintball is not for you or your kids, maybe you can try the Adventure Park, which has a circuit designed for kids under 12 years old and another for kids over 12 and adults also.. There's also a climbing wall, electric cars, boats so you can try different activities and spend a few hours of adventure as a break from the beach or pool. Puerto del Carmen is the liveliest resort in Lanzarote, so it's probably the best choice if you are traveling with teenagers. They will love the energy and atmosphere in the evenings, when there are often parties and events that will keep them interested. Depending on when you are visiting, you can participate in the carnivals - there's a carnival in every resort, not just in Puerto del Carmen. See our complete list of things to do in Puerto del Carmen, if you'll be staying here. For surfing lessons, if your teens are interested to try, Playa de Famara is probably the most suitable place to go. You can rent the equipment and find a surf school that will help learn. If you're on a volcanic island, why not visit the park with all the volcanoes? Check out Timanfaya National Park and maybe you can try a camel ride while there. There is a bus that will take you through the volcanoes and the landscape is resembling the moon, so it will be a unique experience, with views that are truly unique to Lanzarote. Lanzarote is pretty much an arid island, so it's natural that cacti are growing here in so many different forms. Spend a couple of hours walking through the cactus garden, admiring all the different species and the views also. For kids is fascinating to discover new plants, especially if they are different from what they know from back home. Depending on how old your kids are, they may also love a visit to the Green Caves and Mirador del Rio, which offers spectacular views of the small island of La Graciosa.